4 Reviews on Amazon.com – 4.5 average – believe me – this books deserves far more attention! Book Description: When Jem Love’s family is torn apart by his mother’s drug habit, and his young brother and sister taken into care, Jem is determined to get his family back together. But what can a 14-year-old boy do in a world dominated by adults? Author Bio: In 1967, Barbara Spencer hi-tailed it to the West Indies to watch cricket, the precursor to a highly colourful career spanning three continents, in which she was caught up in riots, wars, and choosing Miss World. Eventually, she settled in Somerset to bring up a family. In 2010, the publication of Running, a teenage thriller, took Barbara countrywide. 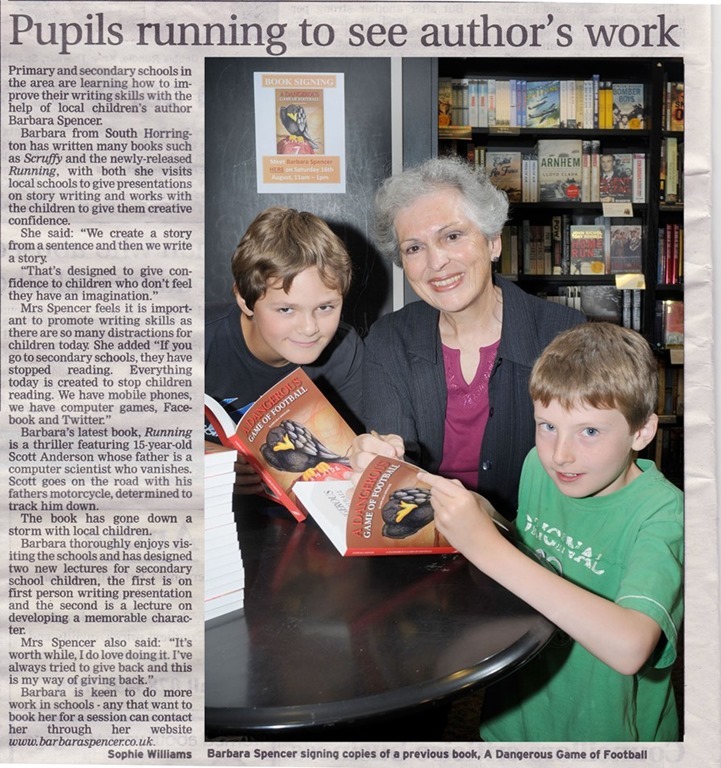 Passionate about the importance of books in today’s society, Barbara is happiest working with young would-be writers and is frequently invited into schools to talk about creative writing. A book that will break your heart and then restore your hope for humanity! Sometimes you get lucky and happen upon a book that breaks your heart. 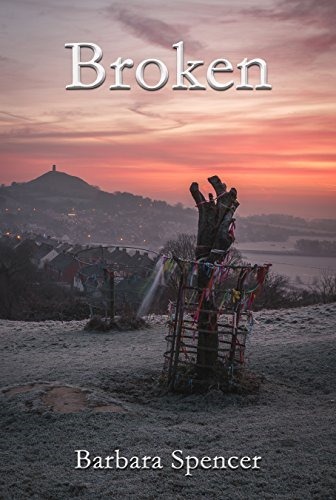 Broken is such a book and Barbara Spencer is a writer who knows how to bring the reader along through the thick and the thin of trouble, right to edge of despair and then, like a magician, she waves her wand and makes it all come out right. There are so many wonderful things to say about this book, I hardly know where to start. It is the rare author that can render the voice of a fourteen-year-old boy with as much depth and believability as she can bring to a somewhat hardened going-on-thirty social worker – but Spencer manages this feat hands down. Then there is the writing – words flow through descriptions that leap off the page with vitality. I’m not going to say anything about the story – it has to be discovered for itself. But I will say this – at about the three-quarters mark, I wanted the book to end the way it did so badly I could scarce get my breath. Read this book – you won’t be sorry. It will make you believe once again in happy endings that glitter like gold as they sit in the dustbin of cold, hard reality. Such is life and some truths of life are best rendered in fiction. For more info on all Barbara Spencer’s books please visit her website. Barbara blogs over on BlogSpot. Check her out! This entry was posted in Book Promotion and Marketing, Book Review, Reading and tagged #bookbloggers, #RBRT, #TuesdayBookBlog, Barbara Spencer, Broken, good young adult books, writing tips.